Just what is the real cause behind the precession of the equinoxes and why did the ancients believe this cycle was so important? Walter Cruttenden asks this question in his latest book Lost Star of Myth and Time and comes to some provocative conclusions. To the layman, the precession of the equinoxes is the observed motion of the night sky shifting backwards by a small amount every year. Of course, the night sky continuously shifts throughout the year as the Earth orbits around the Sun, but if one were to take a fixed point in time (like the Vernal Equinox, for instance) and take a snapshot of the sky on that day every year, one would notice the sky slowly shifting backwards with each progressing year. This is what is meant by the precession of the zodiac, or precessional movement. Astrologers would say we are in a different ‘age’ or zodiac sign depending on which constellations are visible in the sky on the Vernal Equinox of a particular year. This precessional movement of the sky amounts to about 50 arc seconds per year and takes about 24,000-26,000 years to complete a full cycle; the “great year” or “great world cycle” as it is often called. Sir Isaac Newton was the first to put forth the idea that this precession is due to a wobbly motion of the Earth’s axis, and few scientists have challenged this assumption since Newton’s time. Cruttenden dares to ask the most basic question about this in his book bringing together a number of clues to form a hypothesis for precession being the result of the Sun moving in a binary orbit about a companion star. Could Cruttenden’s speculations really lead to data that could overturn the ideas of Newton – a man treated like a deity in the world of physics and astronomy? As we’ll see below, there’s actually a large body of evidence to support Cruttenden’s ideas. Cruttenden even offers some speculation on what particular star this companion might be, focusing on Sirius as a possible candidate. While his arguments may seem reasonable, there’s much evidence in Picknett and Prince’s book The Stargate Conspiracy to point to the case for Sirius being overstated. I might even suggest reading The Stargate Conspiracy first before tackling Cruttenden’s book. Even if Cruttenden is off in his quest to locate the Sun’s companion, the evidence he’s gathered for the Binary model is compelling and worth the read. The interested reader may want to check what he has to say over at his Binary Research Institute, which mirrors much of what’s in his book. I’ve summarized some of the main scientific points he makes in his book below. When it comes to the Solar System, we have a big problem with angular momentum. This problem is related to the theory of how the Solar System formed out of a nebular cloud, otherwise known as the Nebular Condensation Theory. The theory was originally proposed by the christian mystic Emanuel Swedenborg and further developed by Immanuel Kant and others. (How an idea proposed by a mystic becomes accepted scientifictheory is an interesting question, but one we’ll have to save for another time.) According to the theory, every nebula starts out with a certain amount of angular momentum. As the particles and gasses condense to form a central proto-star, the proto-star’s rotation should accelerate to conserve the total angular momentum. Think of an ice skater as she brings her arms and legs close to the vertical axis of rotation, spinning ever faster. But despite what the Nebular Theory predicts, the Sun actually has very little angular momentum to speak of, at least compared to the other planets. The Sun contains about 1000 times more mass than all the planets combined, yet it possesses a mere 0.3 percent of the total angular momentum of the Solar System. Most of the angular momentum exists in the outer-gas planets like Saturn and Jupiter. So the question is, if the Nebular Theory is accurate, then where is the Sun’s missing angular momentum? © Binary Research Institute Graph shows that the Sun’s angular momentum proportional to its mass is much smaller than the ratio for all the other planets. © Binary Research Institute Graph shows how the lower-than-expected angular momentum ratio to mass problem for the Sun disappears if we assume that the Sun is part of a binary star system with a 24,000 year period. According to a study by Allen, Bernstein and Malhotra published in The Astrophysical Journal in March of 2001, our solar system appears to have a sheer edge to it, meaning that beyond a certain point (50 AU, just beyond the Kuiper belt) there appears to be no trackable bodies of any significant size. It’s as if we go from an enclosed area of having planets, asteroids, comets and other bodies, and then outside of that area nothing. Interestingly, this sheer edge is a feature one might expect to find in a binary star system. There’s also a chance it could be due to another outer planet-like object such as the recently discovered planet Sedna, or it may have to do with some gravitational effect not as yet understood. The possibility is intriguing though. © Binary Research Institute Here is the raw data showing that traceable objects of any size seem to end abruptly at about 50 AU. It appears that studies carried out on the distribution of long-period comet orbits show that these orbits are essentially non-random. In other words, the suggestion is that some large body disturbs the Oort cloud (a cloud of comet or asteroid-like bodies that surrounds the outer-edge of the Solar System) and kicks off comets into similar orbits. This fact has received a fair amount of press in the last couple years; some astronomers speculate that this hypothetical body (Jovian-size planet, brown-dwarf, or otherwise) may be discovered “within two years.” Comets should generally come from the location of the galactic plane due to galactic tidal forces — and the data shows this is generally true. However, even after gravitational tides are taken into account, a small bias remains in the orbital distribution of these long-period comets. This points to the existence of another source propelling long-period comets other than gravitational tides. © Binary Research Institute Bias in the distribution of long-period comet orbits. Since the earliest proposals of the ‘Nemesis Theory’ back in the 80’s, which attempted to explain the mass extinction cycle, the proponents of this theory hypothesized that a brown-dwarf star orbits about the Sun with a considerable period (roughly 26 million years, to match the average mass extinction rate). In fact, one of the objections raised against the original ‘Nemesis Theory’ by its opponents was that the period of time indicated by mass extinctions is much too long a time to suspect an orbiting body. Any orbit over such a long period of time just wouldn’t be stable. But could a solar companion with a shorter (meaning on the order of thousands, not millions of years) period solve this problem and explain the non-random distribution of comet orbits too? Recent evidence compiled by Richard Firestone et al. described in their book The Cycle of Cosmic Catastrophes suggests that encounters with comets happen far more frequently than originally supposed. Firestone et al. point to a significant impact event around 13,000 BCE at the Younger Dryas boundary. Mike Bailie, a dendrochronologist at the Queen’s University Belfast, has written several books that suggest impact events during historical times as well. Dennis Cox, whose work has been featured here on SOTT, has also found a number of locations based on satellite images that suggest historically recent comet bombardment too. This is certainly an area that needs further study. An interesting argument in favor of a binary system has to do with the two different ways of measuring the day length. One measurement is called the Solar Day, which we know is 24 hours. The other measurement is called the Sidereal Day which comes out slightly less at 23.56 hours. Given an observation point, like a star in the night sky, the Sidereal Day is the time it takes to reach that same point again in the sky after one full spin. Looking at the diagram below, one can see that the missing time is due to the Earth’s orbit around the Sun. If the Earth and Sun were traveling along parallel paths there wouldn’t be any difference between the Sidereal and the Solar Day – it’s the curved orbital motion of the Earth in orbit with the Sun that makes the difference. Most of us never worry about sidereal time since few people other than astronomers are interested in keeping track of time in the night sky. The same duo of time measurements exists for the Moon as well. The Moon orbits the Earth every 27.3 days, but we see a new Moon every 29.5 days. Again, the difference has to do with the Moon’s orbital curvature around the Earth as the Earth orbits around the Sun. Due to this extra motion by the Earth, we have to add an extra 2.2 days. If the Sun and Earth were moving along parallel paths, then we’d see a new Moon every 27.2 days; but since the Earth orbits the Sun, the cycle is longer. Conceptually, this is no different than the Solar Day versus Sidereal Day example given above. In both examples, the differences in cycle measurements have to do with normal Keplarian motion in space. © Binary Research Institute Depicts how precessional movement is accounted for in the Binary star model of the solar system. However, when it comes to the difference between the Sidereal Year and the Solar (or Equinoctial, or Tropical) Year, we have a completely different explanation. There is about a twenty minute difference between the two, such that the Sidereal Year is always slightly ahead of the solar year – just like the sidereal day is slightly ahead of the solar day, by analogy. 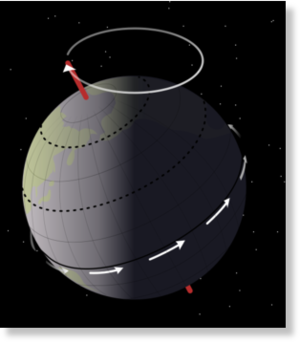 The accepted theory for this precessional movement is called the Lunisolar Theory (which has to do with the wobbling motion of the Earth’s axis, explained in greater detail below.) When dealing with the Sidereal Day versus Solar Day, we see that these differences are due to the extra orbital movement of the Earth around the Sun. So the question is: should the Sidereal Year be treated in the same manner? If the difference between the Sidereal Day and the Solar Day is the Earth’s orbit about the Sun, couldn’t the difference between the Sidereal Year and the Solar Year (known as precession) be due to the Sun’s orbit about another body? That’s how the analogy goes in any case. In the Binary Model both the Sidereal Day and the Sidereal Year are caused by the same type of Keplarian orbital motion. Time is a funny thing. There’s probably no greater challenge for a writer than trying to conceptualize time. Yet the constancy of time or the fact that so few adjustments need to be made in our day, year, etc. gives us a good reason to suspect that the Sun is part of a binary star system. First we need to understand what the mainstream theory has to say about precessional movement, or the precession of the equinoxes. 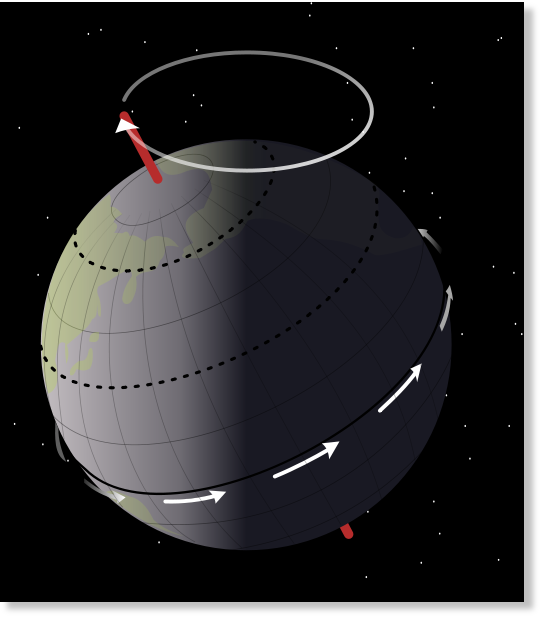 The current theory, called the Lunisolar Theory, states that the Earth’s rotational axis also rotates tracing out the shape of a cone (see image to the right), changing its orientation very slowly – kind of like a spinning top. They call it the ‘Luni-solar’ theory because it is said that this top-like motion is caused by gravitational tidal forces coming from the Sun and the Moon. The idea is that it takes the Earth roughly 24,000-26,000 years to move its axis a full circle along this cone-like path. So the Lunisolar Theory would ostensibly seem to explain the precessional movement, although there is a problem (actually, several). © NASA, Mysid The LuniSolar Theory of precession: is the Earth’s axis really tracing out a cone-like path every 24,000 years? First of all, if this axial top-like motion were occurring, then we’d expect to lose a small amount of time each day. We would start to notice a small shift in our calculations for eclipses, planetary transits and such, which have to be measured fairly accurately. The motion of the planets that we observe in the sky should also precess along with the rest of the stars and galaxies in the background, but according to Karl Heinz and Uwe Homann in their Venus transit studies, they don’t. According to Crutenden, we don’t take into account precessional movement when calculating the positions of the planets or anything within our solar system for that matter. So any planets or other objects within the Solar System do not appear to precess with respect to the Earth. The only objects that follow precessional movement are those outside the Solar System. If this is the case, then precession cannot be due to this top-like motion that the Lunisolar Theory dictates. In the Binary model, precessional motion is explained by the fact that the whole Solar System is rotating about a common center of gravity with another star. In other words, an observer on Mars, Venus or any other planet in the Solar System would notice the same precessional rate, proportional to its orbit, just like we see on Earth. The ultimate test would be to set up a telescopic probe on some other planet like Mars to measure the yearly precessional rate and compare it to the values on Earth. If the Binary System model is correct, these values should be proportional (taking their orbital periods into account). Of course, that still doesn’t prove precession is due to our Sun being in orbit with a companion star, but it certainly makes the case stronger. Ultimately one would have to find the companion star in question to prove anything. Another feature of precession that the Luni-solar model has a difficult time explaining is the fact that the rate of annual precession appears to be increasing. The graph below plots several rates taken at various times throughout the last Century. The first set of points were recorded by the astronomer Simon Newcomb in the early 1900’s, and then later were taken from the Astronomical Almanac. The red line represents the best-fit rate of change for the observed precession. © Binary Research Institute The rate of annual precession appears to be increasing. Now if this were due to a top-like motion of the Earth’s axis a la the Luni-solar theory, then we should be able to extrapolate this trend out to millions of years – still a blink of the eye in terms of Earth’s history. This means that the precessional top-like movement would be so slow millions of years ago that it would be hardly noticeable. The Earth would hardly appear to wobble at all. Whereas if we look ahead millions of years, we would find the Earth’s axis wobbling so fast that it makes a full precessional cycle in a matter of years! The more likely explanation is that the observed increase in annual precession rate is due to something other than the Earth’s axial motion. The Luni-solar Theory becomes even more absurd when one considers the fact that the forces due to gravity are used to explain this top-like motion. This implies that the mass of the Earth or Moon, or Sun is somehow changing in size or distribution. Given what we can see and observe, this seems unlikely (although who knows how a companion star might affect the gravitational dynamics as it approaches its nearest point to the Sun.) More than likely, the Earth does not wobble to any significant degree, other than rotational wobbling like the Chandler wobble, and the observed precession is not due to any movement of the Earth itself. This increase in the annual precession rate is exactly what we would expect from a binary star system, however. In a binary star system, both stars oscillate towards and then away from each other, all the while spinning around some imaginary center of gravity. As the stars approach one another, their velocity accelerates until they reach perihelion (or the closest point of approach), then their velocity decreases until they reach aphelion (or the furthest point of separation.) This means that based on the increasing trend shown in the graph above, we should expect the two stars to be somewhere on the path approaching perihelion. Crutenden believes that the companion star must have just turned the corner at their aphelion point and is now beginning to approach Earth. However, we suspect that it may be the opposite: that the hypothetical companion star is actually close to (or at) perihelion based on the bizarre changes taking place in the Solar System. Either way, this trend of the annual precession rate increasing is exactly what one would expect to find from two stars in a binary orbit following Kepler’s law. © Binary Research Institute Shows the trend of increasing precessional rate due to a binary orbit for half of a 24,000 year period. What Does This All Mean? If you’ve made it this far, then I assume you get the point that the precession of the equinoxes implies something greater than just a wobbly Earth. Precession appears to be the evidence right under our noses, telling us that our Sun is also part of a binary star system (in contrast to a lone ball of fire bobbing up and down along its way through the galaxy). So why might this be interesting? 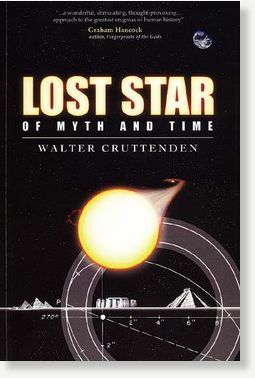 Like Walter Cruttenden writes in Lost Star of Myth and Time, we may be approaching a new Golden Age in terms of our location in orbit about a companion star, but what he doesn’t see is that we may have to pass through a cosmic shooting gallery of comets to get there. Perhaps a ‘comet cleanse’ for the Earth is also part of the process of getting us on the path to a new Golden Age? Seeing the psychopathic control of the planet and the lack of any meaningful change in this regard, it’s hard to imagine how a Golden Age could come about without one.